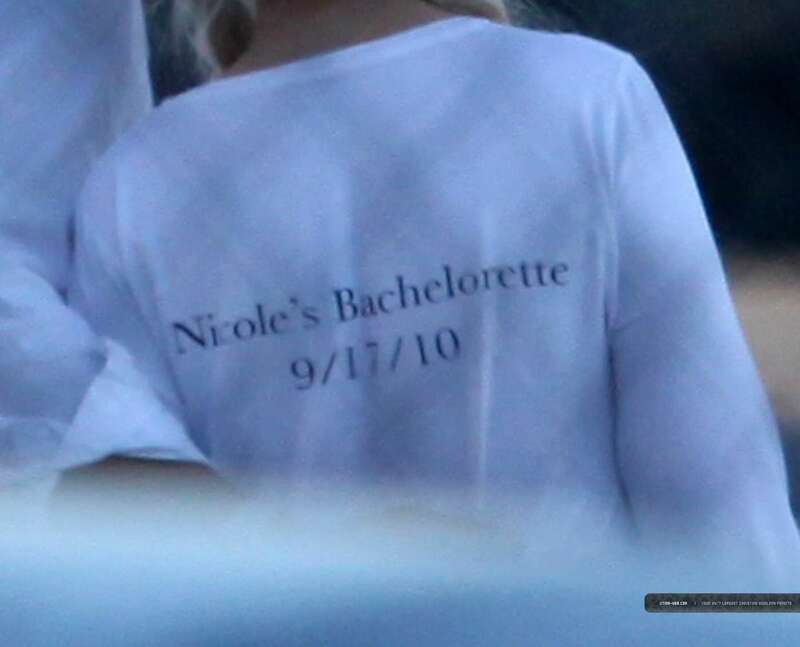 So Christina Aguilera's T-Shirt confirms it - Nicole & the gang certainly were in Mexico to celebrate Nicole Richie's Bachelorette! Christina Aguilera's tee also said "Tickle your Chi Chis with Miss Richie"
Sooo excited for the Richie-Madden wedding!! The wedding won't be this Saturday, Benji and Joel have a promo thing at Macys in Rosedale, MN. Then next week Nicole is on the View? Maybe it will be the weekend of Oct 2/3? Depending on GC's schedule. People.com haven't reported at all about th Mexico thing, I wonder if they have done a deal for the wedding story.